1. Machine frame and blade frame are welded structure, vibration to eliminate stress, can maintain good accuracy. 2. 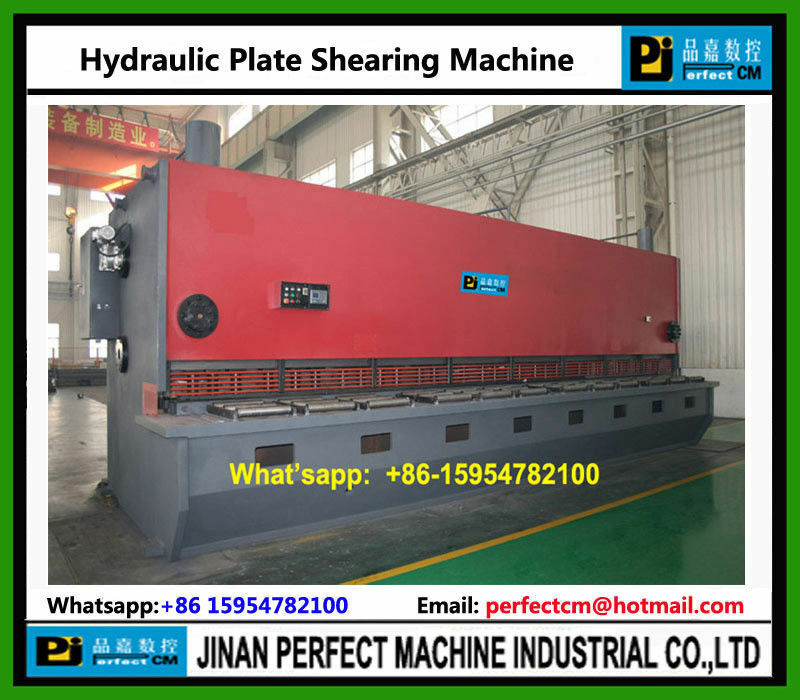 Series cylinder structure, good synchronization performance, and can adjust the angle of shear, and the shearing quality is very high. 3. Adopting the three-point support rolling clamping rail, to maintain good accuracy, the blade frame running smoothly, and can quickly adjust the blade gap. 4. The blade frame’s stroke can adjust stepless, in order to improve production efficiency. 5. Upper blade frame is with introversion structure, easy blanking, to improve the accuracy of the workpiece. 6. The overall rectangular blades, four cutting edges can be used, with long service life. 7. Digital display backgauge device adopts Nanjing ESTON E10 NC system, clear and accurate showing backgauge stroke data. 8. Motorized backgauge provides forward, backward and manual fine-tuning these three regulatory function, easy operation. 9. With a variety of operating functions, debugging, use, and easy maintenance. 10. Electromechanical interlock safety device with emergency stop button installed on the right side of operation panel, front wallboard and removable foot switch. Security fence and etc. Device are installed in the throat parts of machine, worktable operating parts and the rear of machine; which is safe and reliable.